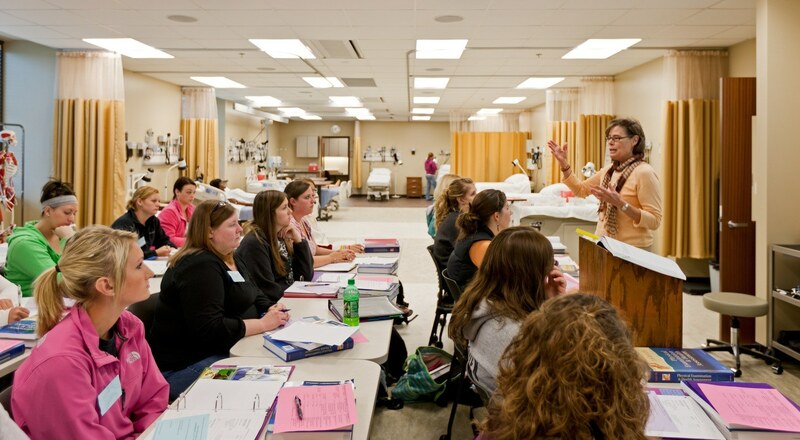 Replacing the existing Nursing Center in a renovated elementary school, the Viterbo University School of Nursing establishes a strong campus presence while enabling the school to increase enrollment by 25 percent to meet regional healthcare needs. 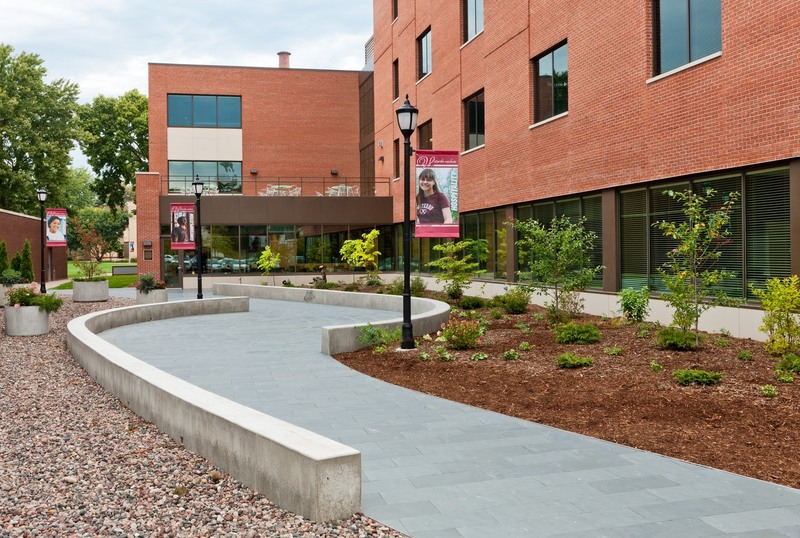 The LEED® Silver, 68,777-square-foot building includes classrooms, laboratories, faculty offices, common spaces for the School of Nursing, Public Health, Dietetics Department, Nutrition Department, and a Nursing Simulation Center. 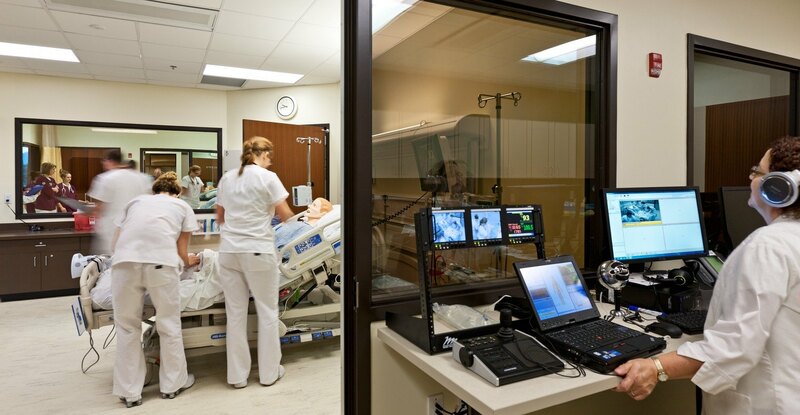 The state-of-the-art Nursing Simulation Center on the third floor consists of four labs for critical care simulation, med-surgery simulation, maternity simulation, and pediatrics simulation. HGA was chosen for their experience in health care and specifically the extensive amount of work that HGA has done at Mayo Clinic. From day one, the architects listened to the needs of the University and particularly the faculty in the SON. 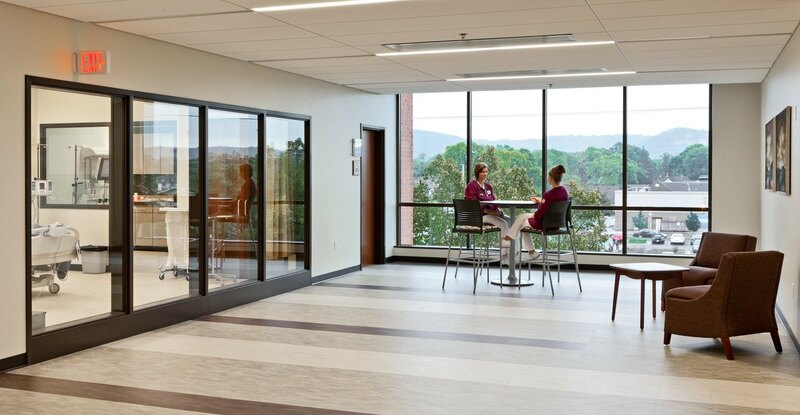 This collaboration resulted in a facility that blends utility, technology and the Franciscan spirit.